If you’re in Oklahoma City for the AQHYA World Show, we encourage you to see all that the city has to offer. 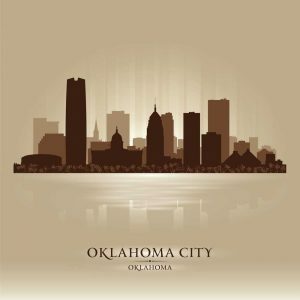 Here are a few spots in Oklahoma City that are worth some of your free time while you’re in town. Just a short drive from the fairgrounds, you can enjoy an excellent steak and drinks at one of Oklahoma City’s up-and-coming areas. Broadway 10 was built in what was formerly a Buick dealership in Oklahoma City’s Automobile Alley. Have a cocktail and steak tartare for a starter and enjoy a 21 oz cowboy rib eye for the main event. Home to many of downtown Oklahoma City’s attractions, Bricktown continues to grow as a destination for families across the OKC metro. Once the city’s warehouse district, Bricktown is now home to many restaurants, a theater and the stadium that plays host to the Oklahoma City Dodgers. You can take a 40-minute guided tour of Bricktown along the canal that courses through it, aboard the Bricktown Water Taxi. Take some time to learn about OKC and have lunch or dinner at one of Bricktown’s restaurants. Located just a short drive from the Oklahoma City Fairgrounds, the Plaza District is an up-and-coming neighborhood featuring unique art, dining and drinking. Here you’ll find beautifully designed, Oklahoma-centric apparel, gourmet coffee and New York style pizza by the slice. This would be a great spot to grab lunch a short distance from the show. There’s no more comprehensive collection of old west heritage than that of the National Cowboy & Western Heritage Museum. If you have an extra day to spend in the city, this museum is a must-see. You can find a massive collection of rifles from years past, and see beautiful art depicting scenes of cowboys, Native Americans and the landscapes of the west. Spend a day here and learn more about the old west and its heroes. We hope that while you’re in town at the AQHYA World Show that you can spend some time enjoying these Oklahoma City attractions.